Alcohol use disorder (AUD) is a serious issue that can lead to severe consequences and even death. SAMHSA reports that over 136.7 million Americans drink alcohol. Of those, 65.3 million report binge drinking in the past month and 16.3 million report using alcohol heavily. An alcohol use disorder can lead to some severe health risk factors and other negative outcomes, as well as jeopardize relationships and jobs. Long-term abstinence with the help of a Florida drug rehab is a wise choice for health and well-being. There is also a new injectable health sensor that may assist with alcohol monitoring in these settings soon. When you attend a program at a Florida alcohol rehab, one of the requirements is total abstinence. It might be difficult to imagine not drinking for any period of time, but there are professionals on hand that understand addiction and provide you with the help and assistance you need to get through each day without a drink. The treatment programs provided in rehab do monitor their patients. Most use a variety of testing tools, but a breathalyzer is the most common device to test for alcohol use. This can be burdensome, particularly when patients are busy with their program or offsite. Fortunately, there may be a solution on the horizon. Engineers and researchers at the University of California San Diego have developed a low-powered, miniature, injectable biosensor that monitors the body's alcohol consumption. This tiny chip is unnoticeable and can be implanted just beneath the skin's surface, allowing for the long-term and continuous monitoring of alcohol levels. Unfortunately, the breathalyzer option is not only inconvenient for patients and staff, but it can also be inaccurate. Imagine attending rehab and having someone falsely accuse you of drinking because of a fallible machine. This new device solves several of these tricky issues. Once implanted, the device is powered by either a smartphone or smartwatch. It can remotely transmit monitoring data, so the patient will not be required to show up someplace else for testing. It is also highly accurate. It may sound intimidating to have a chip implanted under your skin, but the procedure is minimally invasive. These chips are just one cubic millimeter in size, and they both use and transmit a minimal amount of power, making them safe. This device is still in the testing phase, so it's not something you will see just yet. An injectable sensor is being tested to provide long-term monitoring for AUD. Do You Need Help for an Alcohol Use Disorder? 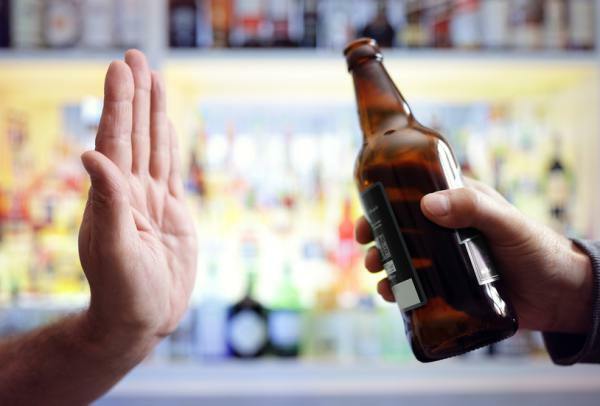 Alcohol use disorders are serious, and the stakes are high if you have been avoiding getting help at a Florida alcohol rehab. Whether you have just realized that there is an issue or have known for some time, the truth is that addiction only gets worse with time. Fortunately, the team at The Orlando Recovery Center can give you the help and support you need. Our experienced and compassionate addiction professionals will guide you through alcohol detox and then into the program that best suits your needs. You will be given access to some of the best addiction recovery resources in Florida. We are happy to answer any questions you might have and can also discuss your options for admission. Contact us today to get started.